In May a group of international academics, activists and experts met at the University of East Anglia in Norwich for a think tank on global environmental justice. The key message of the think tank, now laid down in the Second Norwich Declaration on Environmental Justice, is that “Democratic forest governance is a pre-requisite for a just and effective REDD+”. Read the full declaration here and below a blog by Prof. Thomas Sikor, from the School of International Development at the University of East Anglia, in which he explains the dangers of the current REDD+ Safeguards and how it will be possible to shift the attention away from technocratic safeguard systems to active processes of safeguarding. Negotiators at the UN Framework Convention on Climate Change (UNFCCC) are again turning their attention to the Safeguards on Reducing Emissions from Deforestation and Forest Degradation (REDD+) passed at the 2010 Cancun meeting. At their Lima meeting in December 2014, they are set to discuss information systems that would help to implement the Safeguards in practice. The REDD+ Safeguards hold the potential for historic progress on the justice of tropical forest management. They include unprecedented statements on the importance of transparent forest governance, respect for the knowledge and rights of indigenous peoples and local communities, and the participation of relevant stakeholders in REDD+ actions. The progress on forest justice would be historic because for the first time in history there is a real chance to pass legally-binding global rules for effective and just forest governance. The idea is that states would have to report on the implementation of the Safeguards and make their reports publicly available if they wanted to receive REDD+ payments. This stands in stark contrast to global negotiators’ repeated failure to issue legally-binding regulations since the UN Conference on Environment and Development in 1992. However, the REDD+ Safeguards are in danger of turning into a technocratic exercise that would undermine the very purpose they are meant to serve. The current focus is on safeguard information systems combining bureaucratic reporting procedures with long lists of indicators and measures, as illustrated by the safeguard approaches developed by the UN-REDD Programme, the World Bank’s Forest Carbon Partnership Facility and the Climate, Community & Biodiversity Alliance. There are two problems with these technocratic approaches. First, forest injustices and indigenous peoples and local communities’ demands for forest justice are highly varied and context-specific. Universal standards and criteria are not able to redress the specific injustice and to address the specific justice demands made by affected people. In the worst case, they obfuscate rather than illuminate the specific injustices that require a response. Second, technocratic approaches tend to privilege expert knowledge and to benefit experts more than the people they are meant to serve. Technocratic safeguard information systems would effectively limit indigenous peoples and local communities’ abilities to engage with REDD+ on a level playing field similar to other technical design features of REDD+. Therefore, technocratic approaches threaten to turn indigenous peoples and local communities into passive recipients of externally conceived interventions. Safeguards would be done to them, instead of indigenous peoples and local communities actively participating in the safeguarding. Thus, technocratic approaches may undermine the very goals of the Safeguards to protect and enhance transparent forest governance, respect for forest people’s knowledge and rights as well as their participation in REDD+ actions. Yet, there is an alternative: shifting the attention away from technocratic safeguard systems to active processes of safeguarding. Safeguard processes can empower indigenous peoples and local communities to become active participants in safeguarding and REDD+ if they build on and reinforce local governance systems. This is the key message laid down in the Second Norwich Declaration on Environmental Justice developed at a recent international think tank attended by academics, activists and experts from Africa, Asia, Australia, Europe, Latin America and North America. Countries such as Nepal already have built the capacity for active safeguarding. In these countries, local communities govern their forests through organizations accountable to them. 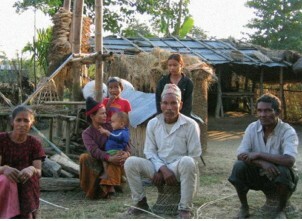 They participate in democratic decision-making at local and national levels through their own associations, such as the Federation of Community Forestry Users Nepal (FECOFUN). Other countries require the development of such capacity through measures that empower indigenous peoples and local communities. It is here where multilateral REDD+ initiatives, northern donors and international NGOs can make a critical difference for an effective and just REDD+ by supporting multi-stakeholder processes to design and oversee national safeguard processes, assisting the development of grievance mechanisms for voicing and redressing injustices, and building the capacity of forest rights movements and user groups to participate in the safeguarding. Negotiators at the UNFCCC can make two critical contributions to the shift towards active safeguarding. First, they can strengthen the global-level requirements on safeguarding processes at national and local levels. Many states will open up their safeguard processes to multiple stakeholders only if they are required to do under UNFCCC rules. Second, global negotiators can issue a mandate for the UNFCCC to engage in active dissemination of national communications, submit the communications to independent monitoring and initiate the establishment of a global REDD+ grievance mechanism to step in where national mechanisms fail. Thus, the challenge to global negotiators is to shift focus from safeguards to safeguarding, from regulating technocratic safeguard systems to enabling active processes of safeguarding, from universal definitions of what is to be safeguarded to questions about who should safeguard and how the safeguarding can take place in practice.